At the heart of Pier 66 Marina is the Market. 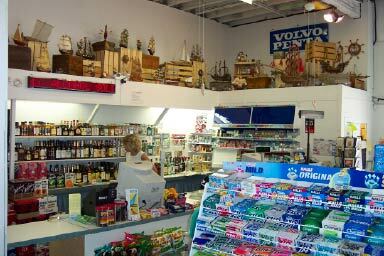 This funky shop has a wooden boat collection mounted above the 18 foot sales counter that displays a wide variety of spirits and is worth noting. Some are boats in bottles, some are bottles shaped like boats, some have clocks mounted in them or on them, but all of them are showcased on early 19 century whiskey boxes, and other artifacts of interest.